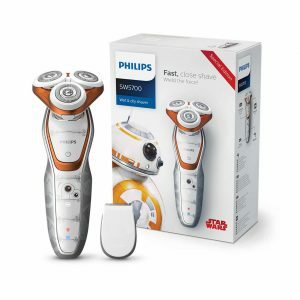 Philips Master Your Shave! Which side are you on? To celebrate the release of Star Wars: The last Jedi, Philips have collaborated with Star wars to bring you, Star Wars inspired shavers, calling it Philips Master Your Shave! 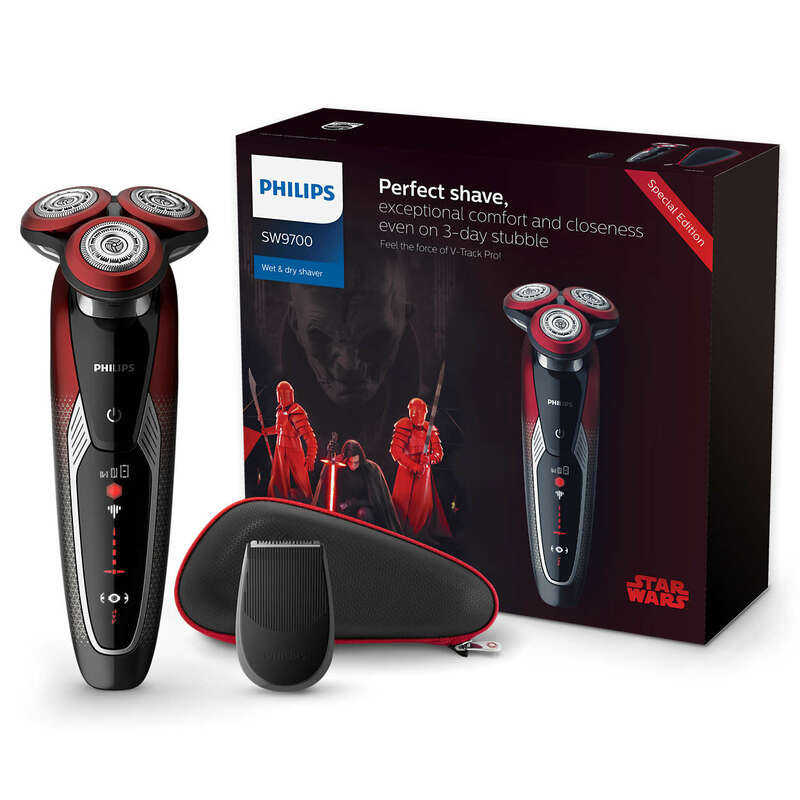 The range combines the cutting edge technology that we all know and love from Philips with designs which emulate your favourite characters from the Star Wars movies! 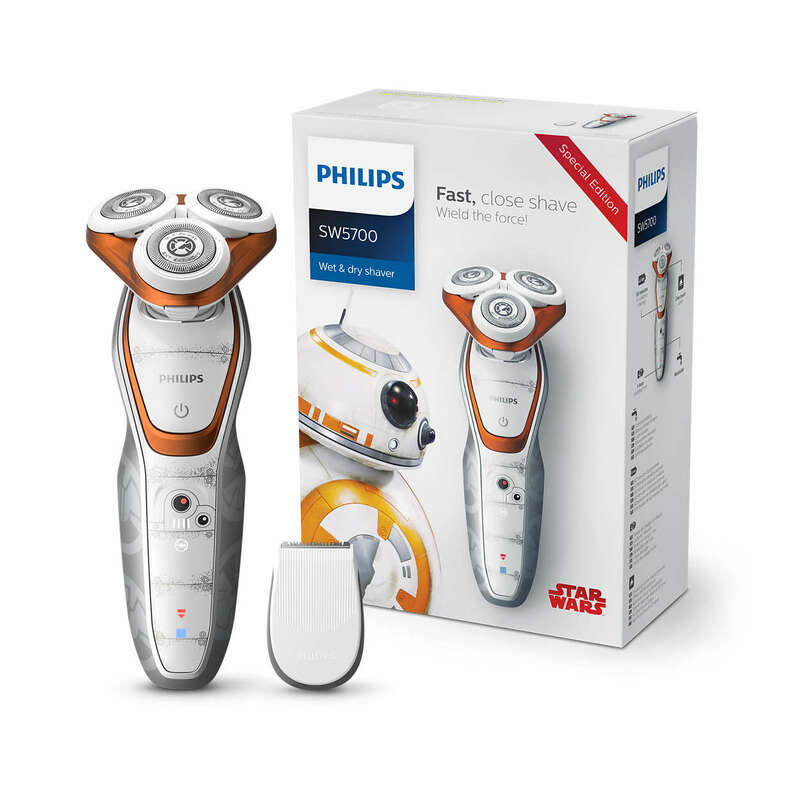 ‘The range fuses Philips high tech innovation with the Star Wars imagination factory…..The products within the range retain premium Philips shaving functionality whilst being themed around the iconic Star Wars movie collection.’ Rob Smith, UK Senior Marketing Manager for Male Shaving and Grooming. 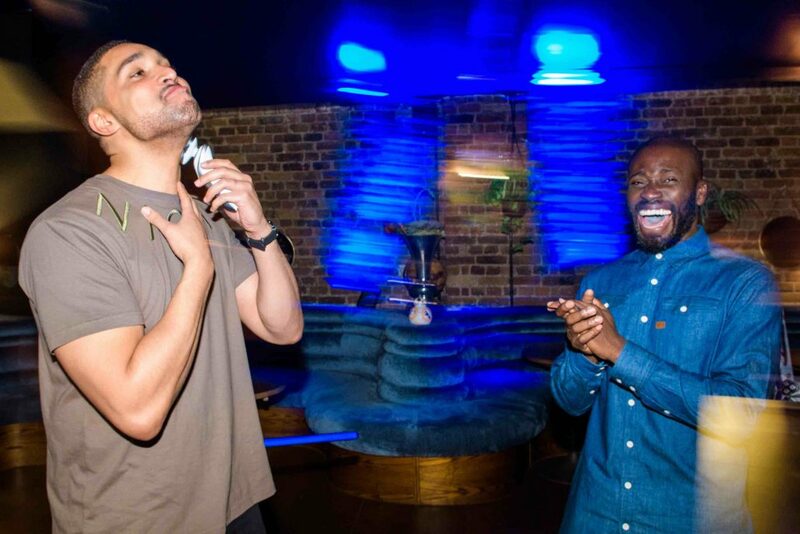 Our very own Marcus Bronzy and Channel 5’s ‘The Gadget Show’s’ Ortis Deley at the Star Wars x Philips event. 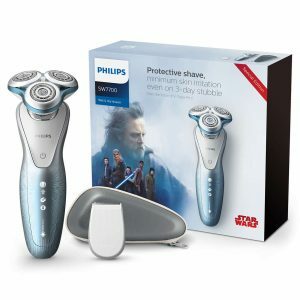 So this shaver from Philips is for all you dark side of the force fans! The premium shaver has V-Track Pro blades which provide exceptional comfort and closeness, but with a dash of dramatic red to black gradient, coupled with hexagonal patterning, topped off with a First Order logo as the power button. For all you good side of the force fans this Shaver helps to reduce skin irritation by gliding comfortably along the skin, even if you haven’t shaved for a few days! The body is silver and turquoise with Symbols of the Resistance on the body. There are even subtle references to light speed on the etchings of the handle. The Jedi Logo lights up in use, so you can feel like a real Jedi on those cold winter mornings! This shaver brings to life the X Wing, why? 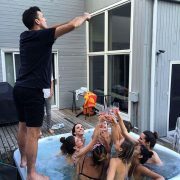 As it allows you to have a quick and close shave. Since the shaver automatically recalibrates to every curve of the neck and face, mimicing the fluid nature of the X-Wing. The design follows the nature of Poe Dameron’s X-Wing right down to the tiny details such as scratched metal finishings and red stripes. 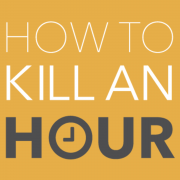 Also as with other Shavers the on turbo button flickers during it’s use. Also, everyone’s favourite modern character BB-8 even makes an appearance on the Philips Star Wars range. The iconic orange and white colour scheme is throughout the design which incorporates the Philips ComforCut Blade system. 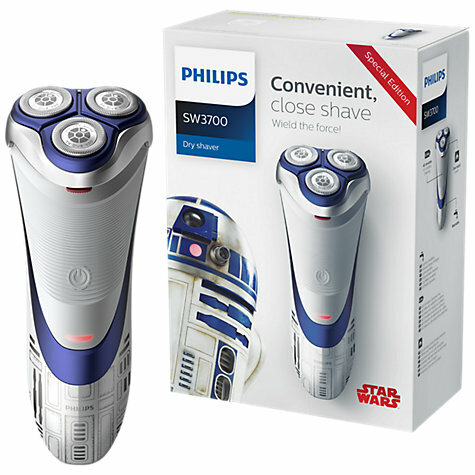 Finally but by no means least, also incorporating ComfortCut blades the Philips SW3700 has an R2-D2 design. 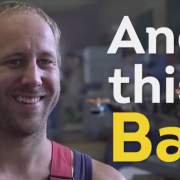 As with many other shavers the on-off switch blinks and the panneling lights up too! 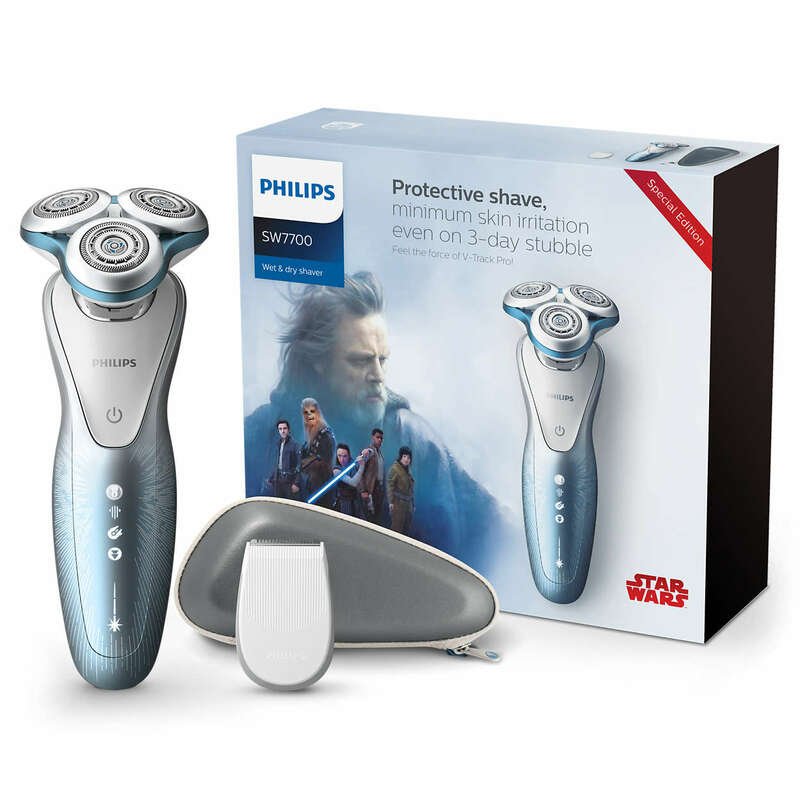 Purchase your own Philips Star Wars Range! Philips Master Your Shave today! 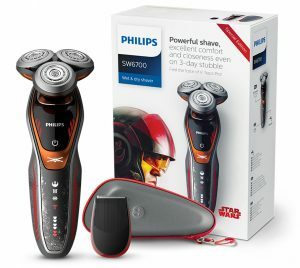 Purchase your own Star Wars Philips Shavers here!